I came across the name of Bernardo Carpio when researching sleeping heroes, but I felt he probably deserved his own post. As he’s said to cause earthquakes, he’s more like the imprisoned Ymir or Loki in Norse mythology than the European kings in enchanted sleep. Carpio is a Philippine folk hero, sometimes said to be a revolutionary against Spanish occupation, although the basic details of the myth appear to predate this idea. 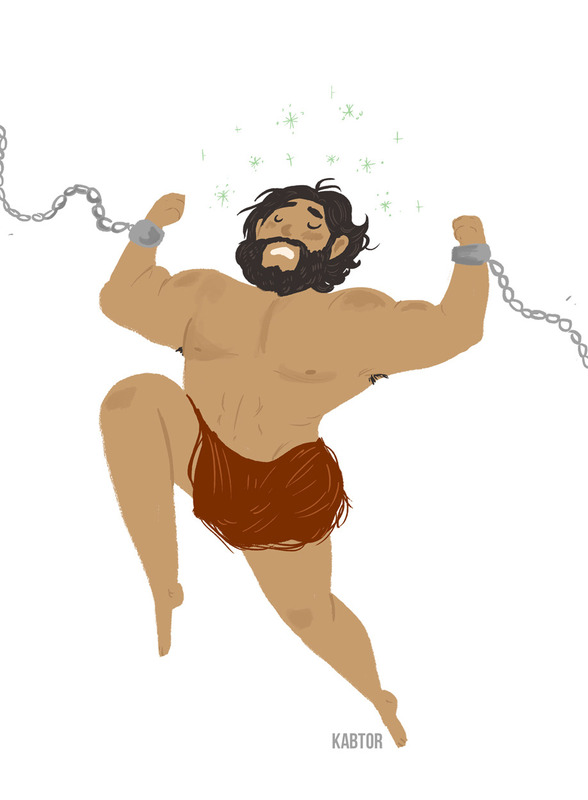 He’s known to be incredibly strong and handsome, and is sometimes but not always said to be a giant. The version of the myth that makes him a revolutionary reports that he’s the son of an affair between the sister of King Alfonso of Spain and a rebellious general. Bernardo’s parents were imprisoned by the king, and his father’s eyes gouged out. The hero was raised by Don Rubio, a loyal Spanish officer, but Bernardo eventually learned what the Spanish had done to his parents and fought against them. He was so successful in this that the Spanish occupiers had to seek the assistance of a Philippine engkantado, or shaman. They offered to parley with Bernardo at a cave in the mountains of Montalban, but instead had the shaman use a talisman to trap him in the cave. He’s still living there now, causing earthquakes when he moves his shoulders. His prison is located on the West Valley Fault System, which explains the association. Some legends say that he will eventually escape and free the Philippines from foreign oppression, which is a closer parallel to the sleeping king stories. What’s kind of confusing when looking for information on Bernardo is that there’s a Spanish folk hero called Bernardo DEL Carpio, nephew of King Alfonso of Asturias in northern Spain. When the king invited Charlemagne to become his heir, Bernardo led a revolt against the Frankish emperor, driving them out of the country. He is also said to have killed the great French hero Roland. And while Bernardo was a Christian, he made an alliance with the Moors against Alfonso, who in addition to the Charlemagne thing had also imprisoned and then killed his father. 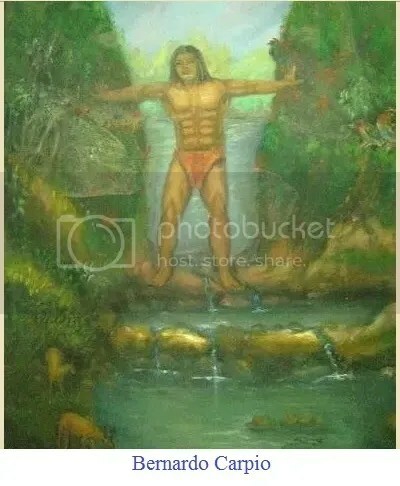 The Philippine hero was named after the Spanish one, some versions of his story saying that a Spanish priest gave him the name upon seeing his strength and heroism as a child. 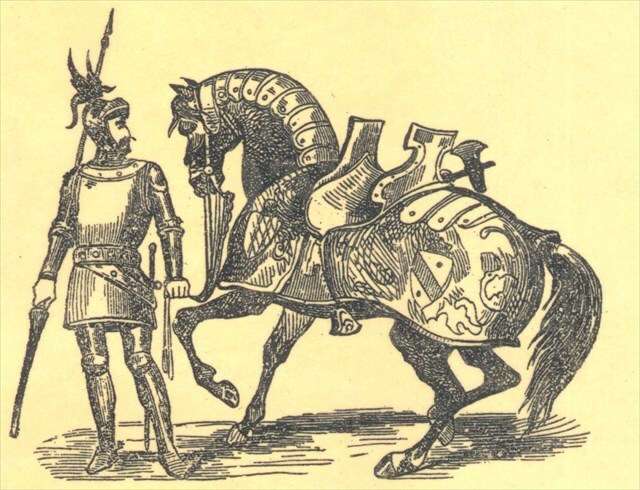 Indeed, it appears as if the two myths have been mixed together, as the story about the hero being the son of the king’s sister and a disgraced nobleman was originally told about Bernardo del Carpio. I don’t think the medieval Spanish guy ever caused any earthquakes, however. This entry was posted in Philippine, Spanish, Uncategorized and tagged asturias, bernardo carpio, bernardo del carpio, charlemagne, don rubio, earthquakes, engkantado, folk heroes, folk tales, giants, montalban, roland. Bookmark the permalink.